But the fact is this, having arrived late last night to Wuhan where we were made to feel at home by the student volunteers and having witnessed how each and every one of you played your part in making this forum possible and the spirit of youth that transcend cultural differences and language boundaries, let me say this, I am truly humbled and inspired by all of you. So before I begin my speech, I just want to say thank you for inspiring me. I would like to start off by making a point very clear: I am not here to lecture. I am not here to teach. I do not claim to be an expert in any particular field. The experts are all here. Just to give you a bit of background, my grandparents are from Guangdong Province, my parents are from Malaysia and I spent my formative years in the UK. I consider it a huge privilege to be in China at this point in time and Wuhan has a very special place in my heart. My first overseas trip to China with my Father is Wuhan. I was 16 years old then, and we visited the factories in Wuhan. I accompanied my dad to Dong Feng HQ, where I met up with Mr Miao Wei, who is now serving as China’s Minister of Industry and Information Technology. That was nearly 15 years ago. As I accompanied my father, proudly carrying his brown leather bag, little did I know that I was being positioned for what was to come. Today, I am glad to be here again, after 15 years. It certainly brought back great memories. I called my dad yesterday and said, “Thanks for taking me to China on your business trips and for showing me the future when I was just a little kid”, and because I had the privilege to travel with my dad from one province to another in China ,carrying his bag, today, I carry with me many ‘bags’ of fond memories of the Middle Kingdom and its people. I have always known the people of Wuhan as hard working, resilient and innovative. I visited many factories. I remembered having to travel many hours by car to Shiyan. The trip was long and tiring. During that time, transport infrastructure was still being constructed and many of the expressways you see today were not available back then. Today, China is very different. I remembered when we first arrived 15 years ago, it was difficult to travel and it took many hours to travel from one place to another. Today, I travelled all the way from Beijing, on a high-speed train, and covered a distance of approximately 1000 kilometres (around 650 miles) between the two cities, and it only took me about 4 hours. From the train station to this place, we took the express highway, which consists of well build roads, 2-3 wide lanes in each direction. Tomorrow, I’ll be taking the flight from the local airport to Shenzhen for the APEC SME Conference, covering yet another 1000 kilometres, in just 2 hours. This is China today. A China that is global and connected. Many of the speakers here have already spoken about the ongoing US-China trade war. At the heart of the US-China trade war is that some nations are not able to adapt to the shifting global economies and are not willing to adapt to changes. Some superpowers are so fixed in one type of governance that they failed to recognise just how far other nations have progressed forward. They are not ready to accept that other nations are rising and that there are other powers besides those since World War 1 and 2. The power to adapt and to change is key to Global Governance, which is the theme for this forum. The will to improve, change and adapt accordingly is something that the Chinese have in their blood. And this is a very powerful thing, because, the only thing that is constant is change. You can find Chinese everywhere around the world and nearly every major city in the world have a China town and nearly every China town has a restaurant that serves rice. This tells you a few things about the characteristics of the Chinese people. First, we are probably the most adaptable specifies in the human race. Second, we love our Chinese food very much and rice is very important to us. But our food also changes and adapt accordingly to the locally available ingredients. The ability to improvise, work quietly and resiliently behind the scene and adapt according to the local environment, in my view, is probably one of the greatest strengths and assets of the Chinese people. Going back to our theme ‘Global Governance’, it is a topic that is most relevant and timely. It is especially pertinent in the context of China as a rising power. China has lifted over 800 million people out of poverty. That’s 12 times the size of the UK population and twice the size of US. China has practices non-interference policy and is a friend to all and enemy of none. Beijing currently is host to the highest number of foreign diplomatic missions and embassies in the world. China has the highest number of graduates annually in the world. Chinese people really value on Education and Learning. I was reading the trade commission report on my way to Wuhan and it says Wuhan has the most undergraduate students in China. So well done Wuhan. Speaking of closing the gender gap and equality, China is certainly leading by example. In the midst of a man dominates work force and unique challenges resulting from Chinese demographics, China boasts the world’s highest number of female billionaires. One of the businesses we invested in China hires a female CEO and over 70% of senior management are female and we have a diversified board member which include people from Africa, Latin America, China, Korea, Malaysia, US, France and Canada. 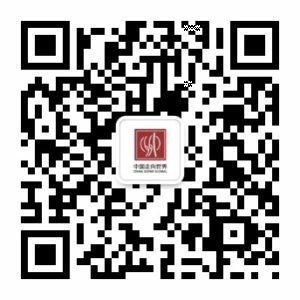 November this year, Beijing government has just announced issuing of Permanent Residence Card to foreigners in Chaoyang and Shunyi area. Such diversity, foreign friendly policy and global talent is certainly rare in many developed countries, yet it is a common sight in many businesses operating in China due to its opening up and reform policy. Before my trip to Wuhan, I had the privilege of hosting Harrow Deputy Headmaster in Beijing. While I hosted him, he hosted 45 principals from across the world who visited Beijing Harrow School as part of the Belt and Road Education Exchange project. Harrow’s is one of the most established schools in the world and UK’s most elite. It has produced over 8 UK Prime-Ministers, including Churchill and is regularly attended by many royalties from around the world. It is also now operating two schools in Beijing and Shanghai. Therefore, we cannot speak about Global Governance and not mention China. 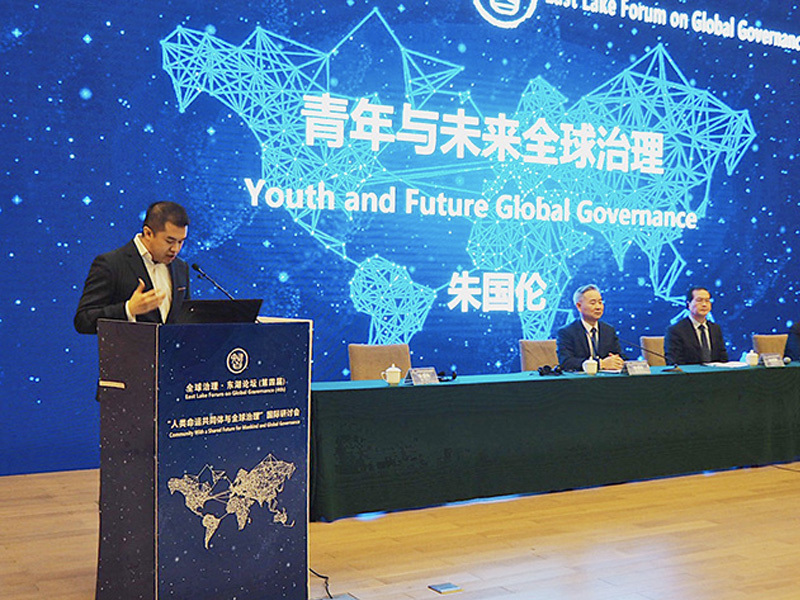 Not only does China has a global and diversified workforce, but it also has the talent to contribute to Global Governance. Take for example the people in the box area seated behind our conference. They are doing a brilliant job translating our speeches. 你们非常棒 (* “You are brilliant.” in Chinese). As all of you have probably witnessed, we have a range of very diversified speakers with different personalities and background, all addressing different topics, but yet, the translation is perfect. We need people like them in Global Governance. I have been to many international conferences around to world and I have heard from many translators, nothing come close to them. I went up to them personally yesterday and told them what a wonderful job they are doing. China has really come a long way. We have been humiliated in the past. We have endured many hardships and were often made object of ridicule by other nations. Yet, we didn’t lose hope, we focus on strengthening our internal affairs, we mind our own business and appreciate the value of hard work and along the way, we lifted up over 800 million people out of poverty. Bill Gates was here in Shanghai for the Expo and one of his mission in life after becoming a billionaire is to eradicate poverty. When the reporters asked him what he was doing in China? He answered: “Besides finding solutions for my projects, I am here to be learning from China”. Are we in a position to talk about Global Governance? Of course, we are. Prosperity is freedom. Prosperity is human right. Other nations should not discredit China’s success while it takes a different path to prosperity. Belt and Road offer a partnership based on the philosophy of ‘prosper-thy-neighbour’. We believe in the goodness of cooperation, that a prosperous and stable neighbour would contribute to China’s own prosperity and stability. China is a country that detests Wars. At no point in human history have you ever come across a China that invaded other nations for its oil, natural resources and exploiting the local people. This is a concept that intrigues many of the powers that were once relevant but are finding it hard to remain relevant today. As they seek to remain relevant, they find ways to suppress others. We should be careful of these people but at the same time, we should appreciate and learned to wield the immense new powers. With great power comes great responsibility. We also need to learn to shoulder on more responsibilities and not be afraid to speak our mind on what is right and wrong. One of the parents asked the vice principal of Harrow, what’s the difference between education in the East and West? In China, people really value education. They learn a lot and memorise a lot, but they also need to learn how to apply their knowledge (knowledge application) and think outside of the box. And the problem with the students in the west is that they have a lot of opinions but they don’t have too much substance. And they spent too much time debating and discussing and leave no real time for work. Bringing my speech to an end and shouldering the task before me of advising the younger crowd in this room, may I firstly, start by congratulating all the students and volunteers in this room. Because of you, this forum is made possible and carried out successfully. 1. Understand how much China has achieved and your role in today’s China. 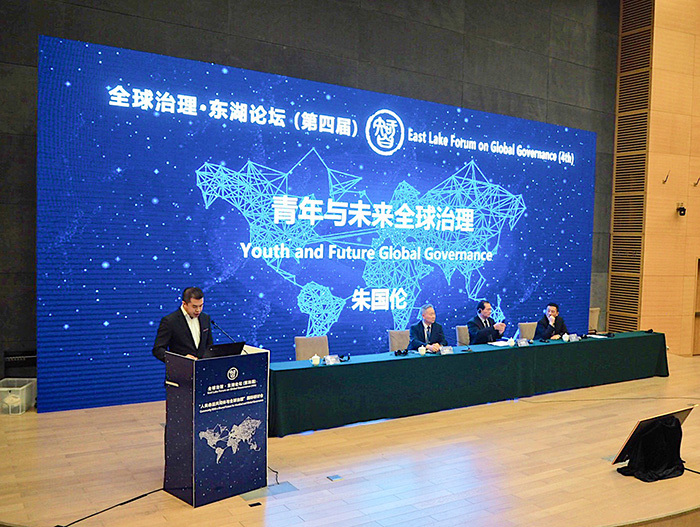 A China that is more opened and more global requires its citizen to be a global citizen. But never forget your roots. 2. Stay humble and be the best version of you. Has anyone here been humiliated? I have. Especially when I was poor. When my business failed. But I am equally thankful for that experience. To have been poor and humiliated by others, can give one a perspective in life. Choose your friends carefully, not every friend will be there on your rainy days. You don’t need everybody liking you, you need the right ones liking you. But you will also realise that nothing in life can match your personal willpower. 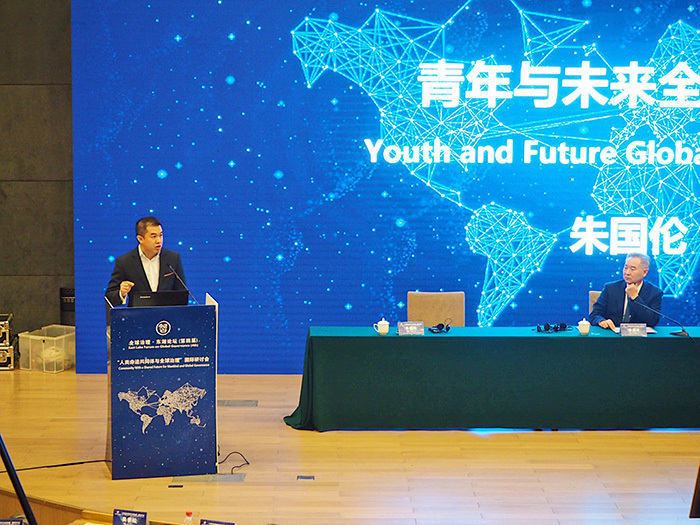 China has been very poor before, but we, the younger generation, are very privileged to be growing up in a modern, advanced and prosperous China. The generation before us have sacrificed so much to have earned the world’s respect for China, it is our turn to carry forward the good race. Do so with a learning spirit and a humble heart. Learn from the older generation. It is said that: “The young man knows the rules, but the old and wise man knows the exceptions.” – learn from the wise and old and understand China’s past so that you can play a part in creating a better future for all mankind. 3. Take action and do more, speak less. These days, we have a lot of graduates and degree holders. China produces twice as many graduates a year as the US. But what I realise is that we have too many people with a degree but less and less are willing to think and strive. We live in times of great opportunity but also too many distractions and many excuses. It is your responsibility as the next generation to continue that tradition that brought China thus far. Remember to keep the momentum. At the end of the day, the heart of the matter is the matter of the heart. And when the heart is right, everything is right. For China to be truly global, we need to win the hearts and the minds of other nations. We need to win the respect of other people. People of other culture, race and background. And to do so, we need the help of young people. You are the future and China depends on you. The older generation has worked hard enough to lift people out of poverty and to put China on the world map. It is now our responsibility to continue the good race.